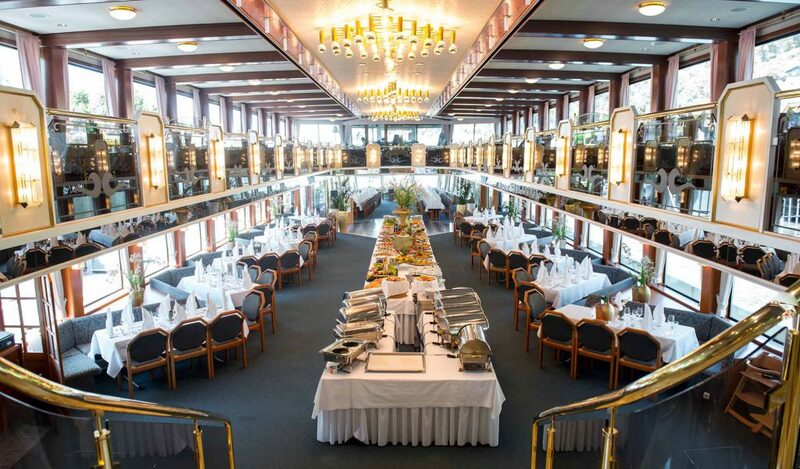 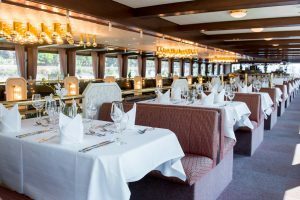 It´s a swimming banquet hall upon the Danube: The ship of dreams Regina Danuba is a luxury ship of its own kind. 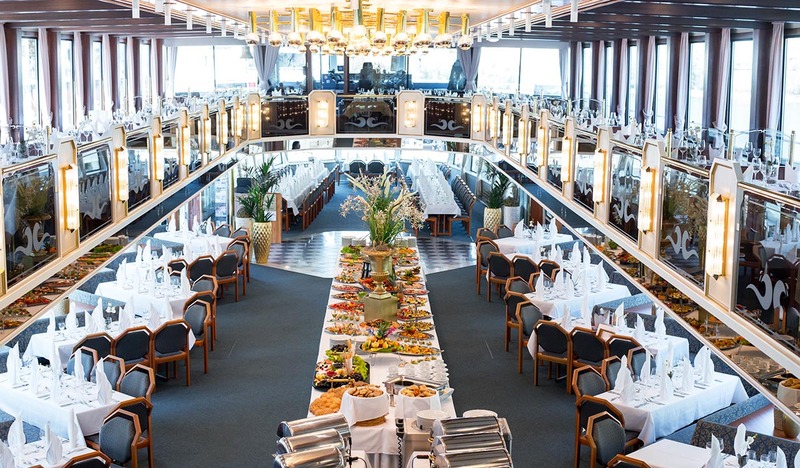 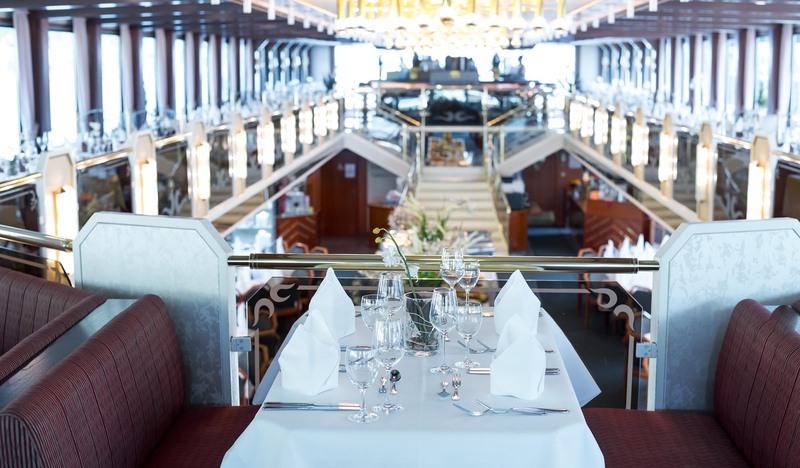 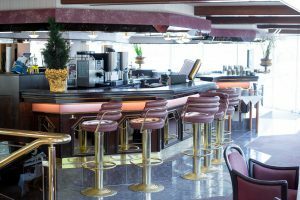 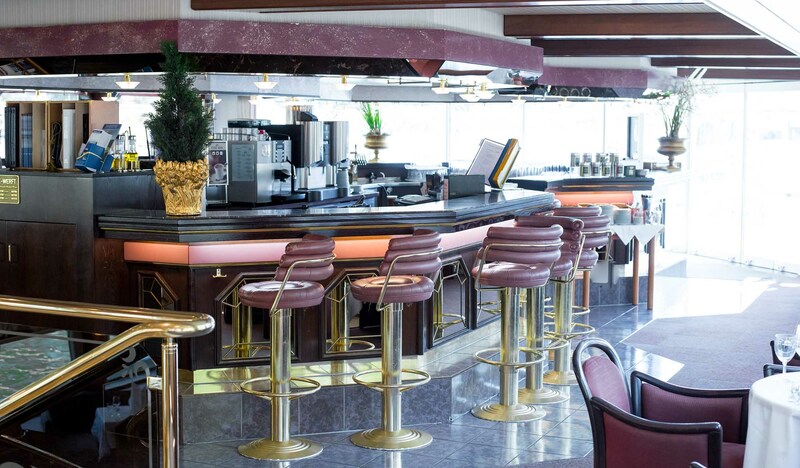 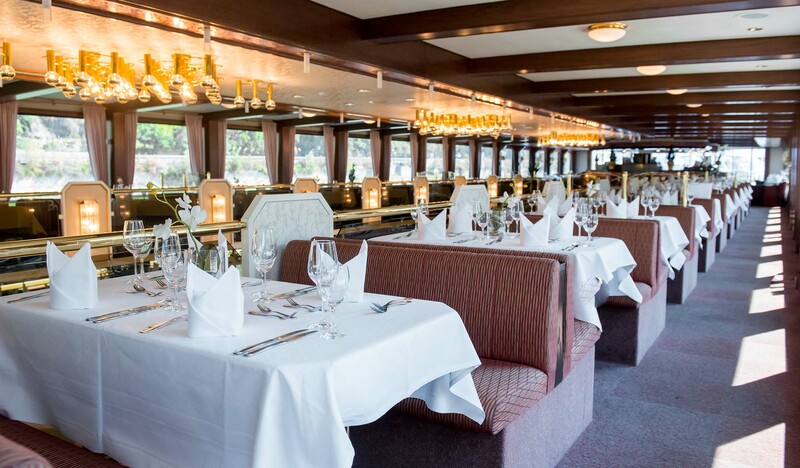 The gala ship captivates with a glamourous interior with a lot of golden elements. 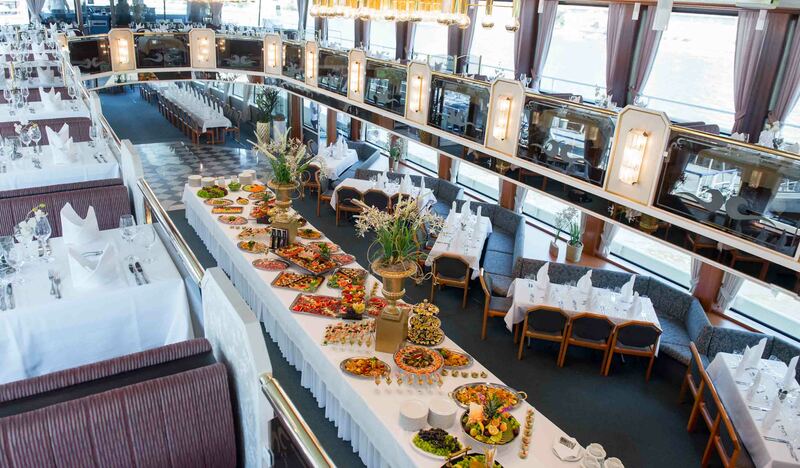 Because of a big opening the entrance deck and the gallery deck form a harmonic unit which is a big advantage for events with a lot of guests. The bar at the gallery deck invites to a nice drink. 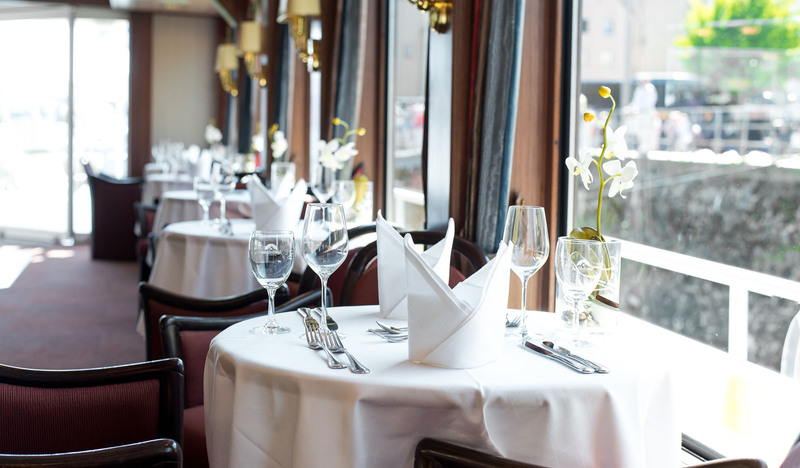 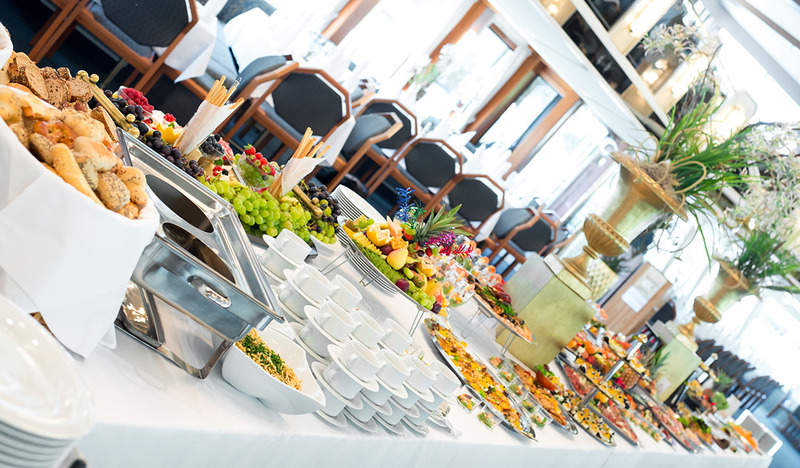 The elegant ambience, the well known excellent kitchen and the qualified staff guarantee a successful event. 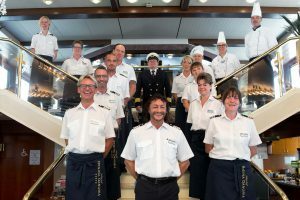 The gala ship is the ship for very special occasions and has welcome some famous guests: Already the maiden voyage from the shipyard in Mondorf near Bonn to Passau was a great honor: The MS Regina Danubia inaugurated the Rhein-Main-Donaukanal with the the president of Germany Richard von Weizsäcker an Bord in the year 1992. 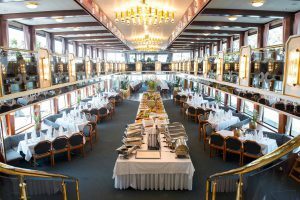 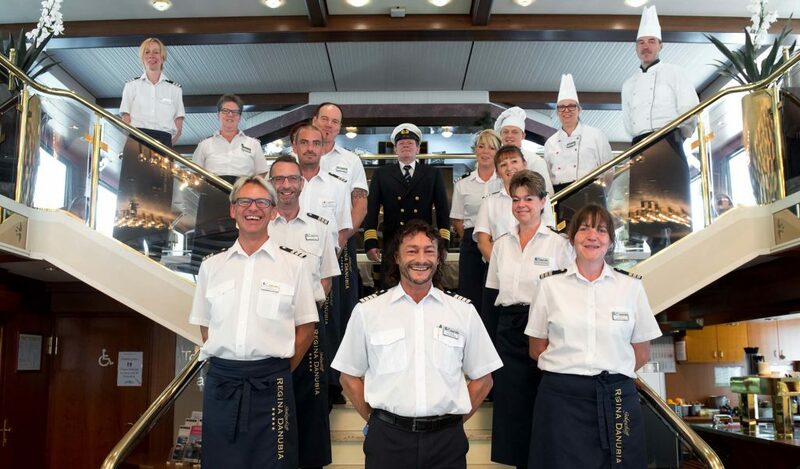 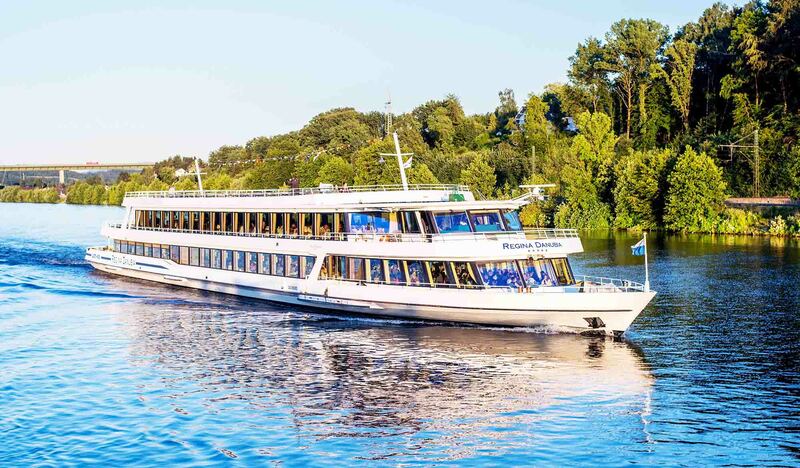 And in 2016 it was the scene of the informal meeting of the EU leaders in Bratislava – 26 government leaders, one of them chancellor Angela Merkel, dined on board during a lunch cruise.